The sheer variety in the type and number of herbs available make it very difficult to categorise and group every plant into a neat "family." Because of this, we have included a rather ambiguous category called "Other" which we have used to put those herbs not easily clustered together. This group contains perennial favourites like French Tarragon, Chervil, Basil, Aloe vera, Bergamot, Borage and Sweet Ciciely. This is also the group where we have placed the more unusual varieties like Viper's Bugloss, Aconitum, Calamint, Catnep, Angelica, English Mace, and Woad to name but a few. 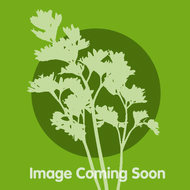 Please browse and enjoy some of the more unusual offerings from the herbal world. If you wish to refine your search by looking for specifically culinary, medicinal or scented herbs, then please use the tabs to the left of this page.